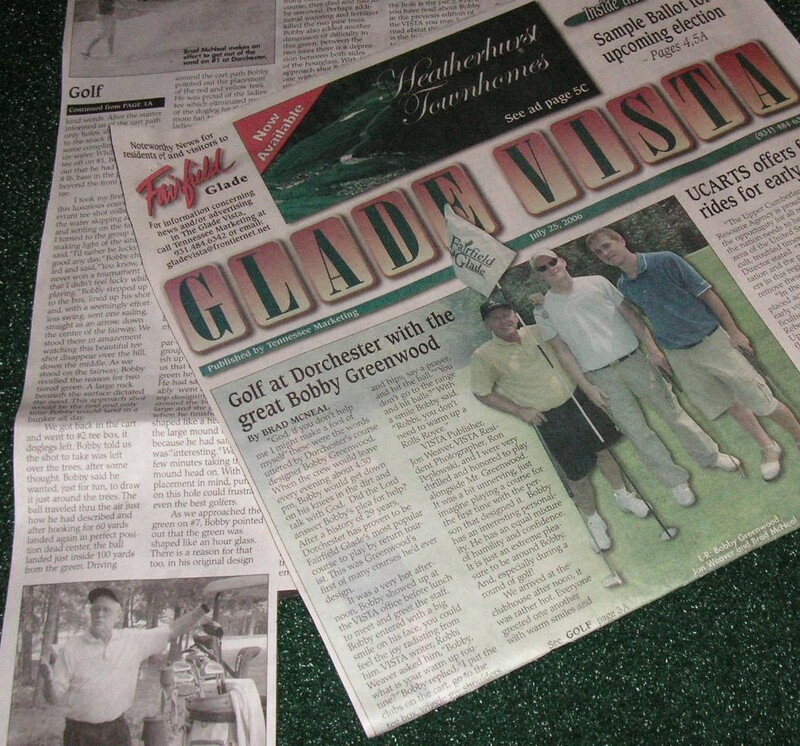 This article was written by Rick McNeal of Glade Vista, Fairfield Glade, Tennessee, dated April 11, 2006. Even though Bobby has amassed numerous honors and accolades, has set several course records, and has played with the best of the best, he’s still Bobby to anyone that knows him. He’s a very humble Christian man, who is also a great husband and father. He lives in Cookeville now with his family and enjoys a very happy, laid back lifestyle. Instead of enduring the grueling life of a Tour Player, he now enjoys spending time with his wife Elma and 7 year old daughter Viola. The way Bobby and Elma met each other was quite a story, to say the least. They began writing through a Christian Singles International Filipino connection. While working in Japan, Bobby had to leave the country occasionally in order to keep his work visa and he would travel, as you guessed it, to the Philippines to meet Elma. Bobby graduated in 1957 from Riverside Military Academy,Gainesville, GA, and received the Horton Society Honor) Award at graduation. He began his college career at Tennessee Technological University, Cookeville, TN, where he was runner-up in the OVC Conference Championship his freshman year. He then went on the enroll at University of North Texas (formerly North Texas State University), in 1961, where he was a dominant force in college golf. He was a three-time NCAA all-American and the only First Team All-American in the school’s history. 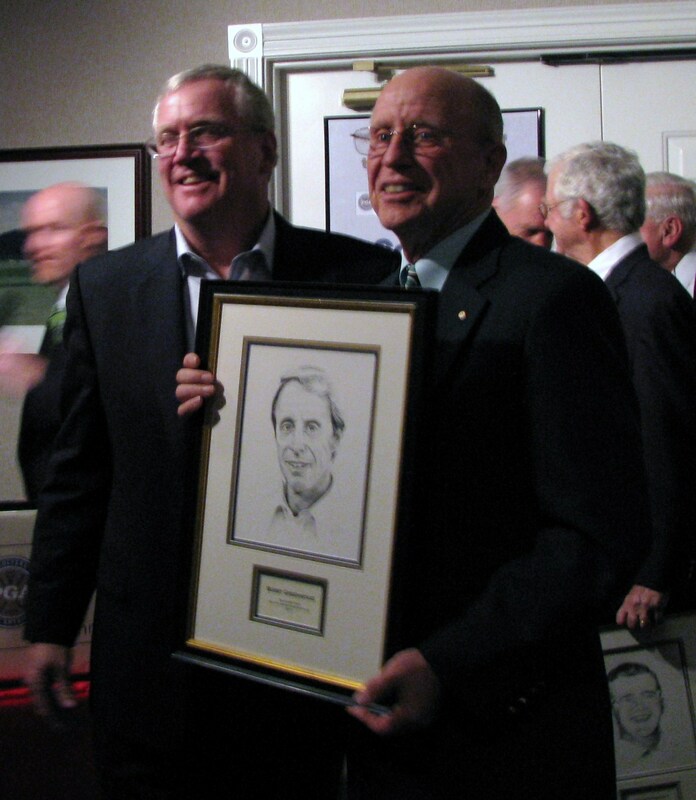 He led the Eagles to three consecutive Titles and was also selected to the prestigious 10-member Texas Cup Team in 1964 where he defeated well known golfer Byron Nelson in the singles match. He also was runner-up three consecutive years (Sophomore, Junior, Senior year) in the Missouri Valley Conference while at North Texas. He graduated in 1964 with a degree in Business Administration. According to an article in the 1963 school paper, Bobby was selected as the third All- American in school history. From the beginning North Texas Coach Herb Ferrill labeled Greenwood as “one of the best golfers I’ve ever seen.” Labeled a “perfectionist” by Coach Ferrill, Bobby continued to work on the basic fundamentals of his golf game, as he has since he began playing at the age of twelve at the Cookeville Country Club. While Bobby was in college he was making quite a name for himself on the amateur circuit as well. He was Co-Medalist U.S.G.A Amateur, 1964 – Canterbury Country Club, Cleveland, Ohio; Tennessee Cup Team, 1968, 1976, 1991, 1992, 1993, 1994, 1999, 2000; Twice ranked in Top 10 Amateurs in U.S. by Golf Magazine, ranked sixth and eighth respectively; Top 10 Amateurs in U.S. by Golf Digest, 1968, Rank – seventh, (his ranking is based on victories in the Sunnehanna Tournament of Champions as well as the Tennessee State Open and his third place finish in the Southern Amateur); Tennessee Amateur Champion, 1966; Sunnehanna Amateur ~ Tournament of Champions, Johnstown, Pennsylvania, 1965 & 1968, (Bobby set tournament record of 269 total, and current course record of 63 in second round in 1965); Tennessee Open Champion, 1968; Rhode Island Open Champion, 1970. Bobby turned pro in 1969 and there are several stories about the various tournaments in which he played. The upcoming articles will include the different courses, as well as the well known golf pros that Bobby has been matched with throughout his career.